Following is part one of a series that friend Peter Vest is writing. These are not easy words to hear, but much needed if we are to truly seek truth. The beautiful tree, bedecked with silver and gold, warm glowing lights, beside a roaring hearth, a host of shiny presents–what’s not to like? 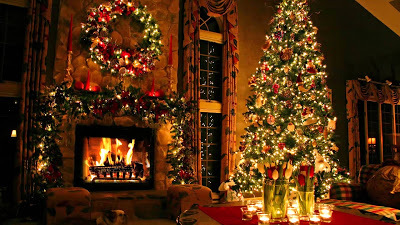 Christmas is beloved especially by children because of all of the beautiful traditions, the celebration of family, the feeling of security with the hearth with the promise of food nearby (“visions of sugar plums”) and especially the presents! And since, as Christians believe, the day of Christmas has been devoted to the G-d of Israel (i.e. Yeshua) then Christmas is all the more special, right? Allow me to briefly connect several dots showing the evolution of the Canaanite religion, it’s overt beginnings with child sacrifice to the fire gods Ba’al and Asherah, to the fire gods Jupiter and Vesta, to the modern vestigial remains as observed in certain customs of Christmas and Easter. Asherah, was the fertility goddess, the “Queen of Heaven” (now immortalized with fertility symbols on Easter), married to El, a senile god who was eventually replaced with Ba’al. The people believed that Asherah was best appeased with sexual rites, often symbolized with a pole (the “May pole” being a modern vestige of this phenomenon) and that Ba’al was best appeased with a fire and a “green” tree. This entry was posted in A Thought..., Holidays v. Feasts and tagged child sacrifice, christmas, Easter, molech, Orthodox Messianic, pagan. Bookmark the permalink.